The Parcel Includes the Darwin "Corner" land area with the house facing Sichel Street (same parcel). Prior building on Darwin burned down, see public records for information. Zoning appears to be LARD2-1. May be in New Opportunity Zone. Developers urged to check with the City of Los Angeles planning. Possibilities may include ADU, Small lot Sub, Units, and TOC Tier 1. Property may fall within USC's Real Estate grant program due to County-USC hospital nearby (USC has an end user SFR finance program for emp The Parcel Includes the Darwin "Corner" land area with the house facing Sichel Street (same parcel). Prior building on Darwin burned down, see public records for information. Zoning appears to be LARD2-1. May be in New Opportunity Zone. Developers urged to check with the City of Los Angeles planning. Possibilities may include ADU, Small lot Sub, Units, and TOC Tier 1. Property may fall within USC's Real Estate grant program due to County-USC hospital nearby (USC has an end user SFR finance program for employees, they are user friendly for info). 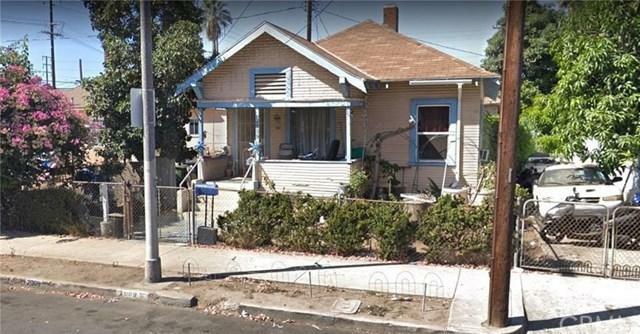 Property is Close to Downtown LA, Transportation corridors & Light Rail. House is considered a Fixer, this sale is primarily Land value. It is a Probate sale with Court Confirmation. Delays have to do with circumstances being resolved which should favor the buyer, NOT lack of demand or offers. So please no bargain basement or low-ball offers. Process should move quickly once offer accepted. Listing provided courtesy of Michelle Lowe Real Estate. Listing information © 2019 San Diego MLS, Inc.